Minnesota Child Care Assistance Program (CCAP) can help to make quality child care affordable for income-eligible families. All families will have a copayment based on their gross income and family size. Child Care Assistance Program Application: This is the Minnesota Child Care Assistance Program (CCAP) Application. You may be eligible to get help for your child care expenses so you can work, look for work, or attend school. Information and paperwork for providers that work with the Child Care Assistance Program. Providers must be registered in order to work with child care assistance. If you are a licensed provider, you may register by completing and returning the following forms: Registration and Acknowledgement Form, W-9, and the Privacy Practices form. The Direct Deposit form may be completed at any time for providers that would like their Child Care Assistance payments paid by direct deposit. CCAP Licensed Provider Registration and Acknowledgement – CCAP form used by counties to register licensed child care providers so they can be authorized to receive child care assistance payments. Child Care Provider’s Responsibilities and Rights – Child Care Assistance Programs (CCAP) information sheet explaining child care provider’s rights and responsibilities. Notice of Privacy Practices – General Notice of Privacy Practices (combined HIPAA-compliant Notice and Tennessen warning) for county agencies. Direct Deposit for the Minnesota Child Care Assistance Program – Brochure explaining the benefits of directly depositing child care payments to bank accounts. The brochure includes a Direct Deposit Authorization form. 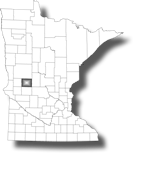 The Minnesota Department of Human Services (DHS) is designated under Minnesota Statutes, chapter 119B as the lead state agency for supervision of county administration of the Child Care Assistance Program (CCAP), Minnesota Statutes, Section 119B.08, Subd. 3 requires counties to submit a biennial Child Care Fund Plan to the commissioner. The Department of Human Services reviews and approves the County Child Care Fund Plans. The County Fund Plan will be available at the county office for public review and comment upon request.